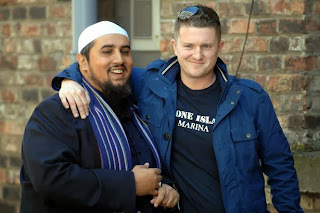 Paul Austin Murphy on Islam, Islamism & Muslims: Mo Ansar & Tommy Robinson: Why Did They Meet? Mo Ansar has been critical of various and many moderate Muslims, which leaves you wondering why the BBC and so many others regard him as the official voice of Muslim moderation. 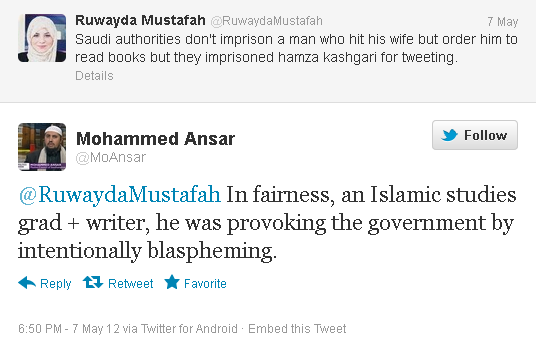 It seems that when any Muslim is critical about any aspect of Islam, Mo Ansar doesn't like it. It also seems that when any Muslim is critical of any aspect of Muslim behavior, Mo doesn't like that either. Again, if that's the case, why has Mo Ansar become The Voice of Moderate Islam for the BBC and the rest? To be more specific on the Mo Ansar/Quilliam rupture (not that they were ever in agreement), Maajid Nawaz also questioned Mo Ansar's supposed moderation. And it was then that Tommy Robinson 'realised that even within the Muslim community there are people who are sick and tired of fanatical Muslims'. Tommy Robinson himself said - as reported in the blog, Dispatch International (in the article 'Tommy Robinson's long journey has only begun') - that he was 'offended that people thought I had bought his rubbish'. I'm not sure if I personally believed that Tommy was taken in by all this but I was still nonetheless dumbfounded. Tommy can hardly be surprised that people were similarly perplexed or angry because no one - except Tommy - would have known what was going on in his mind. Mo Ansar, if anything, is worse than people like Anjem Choudary because he believes pretty much the same as the latter, but does so with a smiling face. That is, with a smiling face plus the required and oft-repeated phrases especially selected from Leftist, multicultural and even post-modernist vocabularies – all used, by Mo, to convince his kuffar false friends that he's just like them, only with the irrelevant – I'm sure - addition of being a fundamentalist/reactionary Muslim. 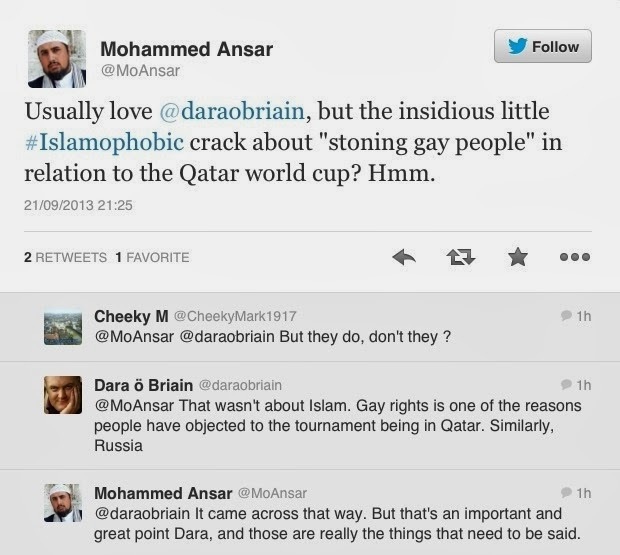 Mo Ansar has also carried out a campaign to ban 'Islamophobia' in social media. I will translate that into English for you. Mo Ansar has carried out a campaign to stop all criticism of Islam and Muslims (such as himself) on social media - particularly on Twitter. Or, in other words, Mo has attempted to impose sharia blasphemy law on social media. More laughably, this totalitarian (or Islamist) campaign of his is at least in partly motivated by his immense ego. That is, it is partly – or mainly – motivated by the criticisms he himself has received on Twitter and elsewhere. 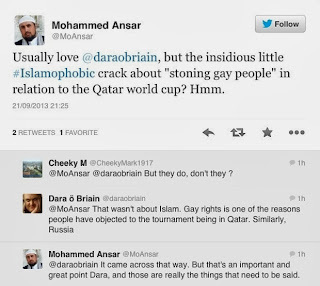 So this is the sort of personality Mo Ansar actually has. Again, all this is strange behaviour from the BBC's very own officially-moderate Muslim. On a personal note, I myself was reported to Twitter by Mo Ansar after just four posts on his Twitter page. That was not a surprise. He's well known to having a penchant only for his Twitter sycophants - and they don't all work for the BBC. Someone has even created a Twitter account by the name, 'Blocked By Mo Ansar'. There's also a very funny Twitter page called MoDawahMOParody (King of Dawah) which lampoons Mo's cheesy use of popular- culture references, as well as his many post-modern/Leftist phrases, his intolerance of contradictory views and his pseudo Islamic scholarship.